Meek Mill is seeking justice, and his city is behind him. Fans gathered in droves Monday outside the Juanita Kidd Stout Center for Criminal Justice in Philadelphia, where Judge Genece Brinkley heard arguments about granting the 31-year-old rapper a new trial on gun- and drug-related charges he faced when he was 19. The rapper’s lawyers are seeking a retrial since evidence has surfaced against Meek Mill’s arresting officer, Reginald V. Graham, alleging that the cop was corrupt. Meek’s lawyers argue that his 2008 conviction is based on false testimony and a fabricated arrest affidavit. The Philadelphia District Attorney’s Office agrees that the rapper should be granted a new trial given the allegations concerning the now-former officer. The decision now rests in the hands of Judge Brinkley, who has been accused of having a personal vendetta against the rapper. Meek’s legal team has repeatedly attempted to have her removed from his case. His lawyers say that the judge’s demeanor during Monday’s hearing was especially hostile. 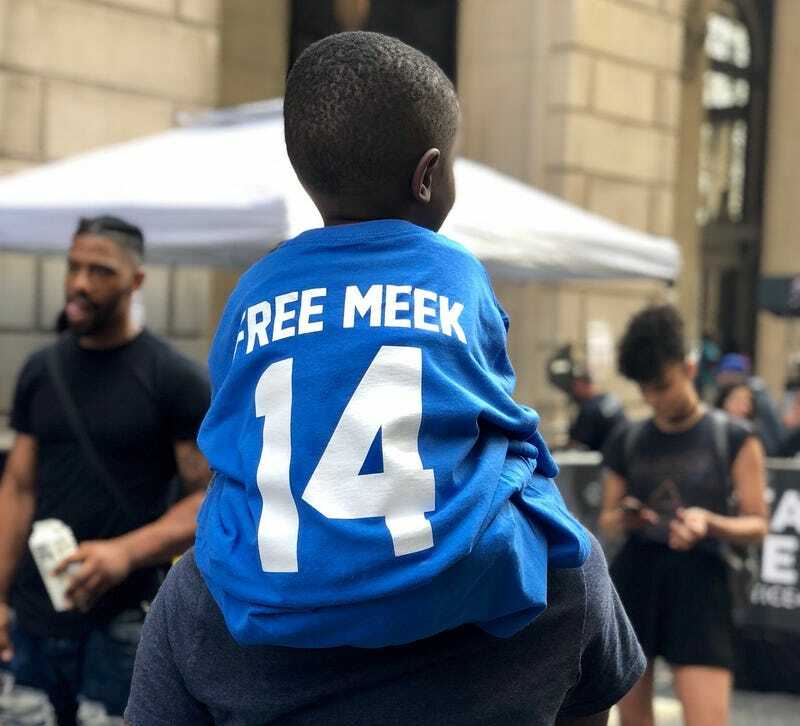 Outside the courtroom, social justice organizers and notable Philadelphia names, like rapper Freeway and journalist Marc Lamont Hill, spoke to Meek supporters about the need for criminal-justice reform in Philadelphia and nationwide. Meek’s lawyers say that they left Brinkley with a pile of written evidence, which she will review. She has until June 30 to reach a decision about a possible retrial.